On Saturday, August 15 the LFPD Citizen’s Police Academy held an alumni picnic at Northcroft Park. Over 50 CPA Alumni and guests attended to share food and stories and mingle with the 15 police officers at the event. The CPA course meets for 3 hours on Wednesday evenings for 10 weeks and covers all aspects of law enforcement. The Citizen’s Police Academy is a program designed to promote and enhance citizen understanding and awareness of the role of the Lake Forest Police Department within our community. The objective of the course is not to prepare graduates to become police officers, but instead, to instill in citizens a greater general knowledge of the many functions of LFPD. Contact Sergeant Brett Marquette at MarquetB@cityoflakeforest.com with any questions. Click here for the CPA Application. 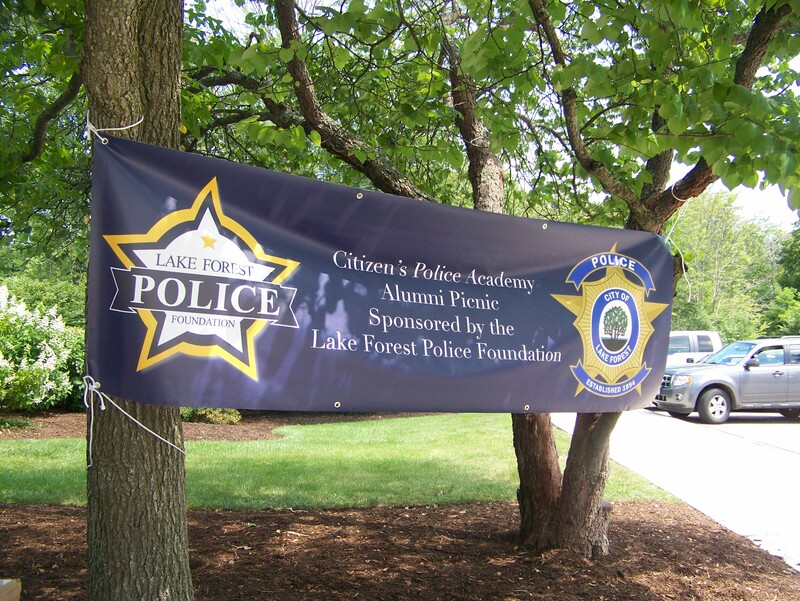 The Citizen’s Police Academy is a program designed to promote and enhance citizen understanding and awareness of the role of the Lake Forest Police Department within our community. The objective of the course is not to prepare graduates to become police officers, but instead, to instill in citizens a greater general knowledge of the many functions of LFPD.